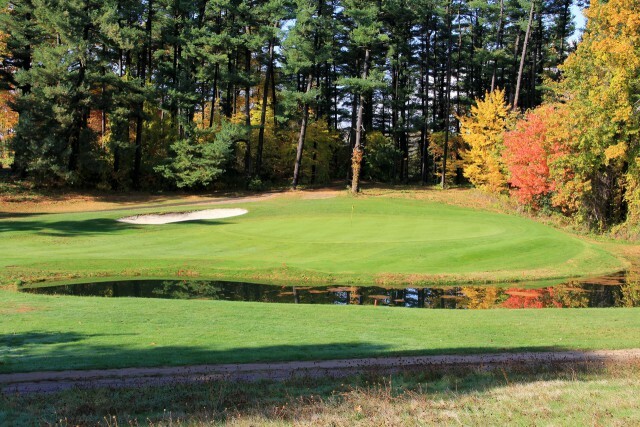 Woody Allen once quipped, “I’m at two with the universe.” A couple of visits to municipal golf courses in as many weeks graphically reinforces that the golf industry can relate to the sentiment. At first glance, Schenectady Municipal Golf Course, in the eponymous upstate New York town, and Trump Golf Links at Ferry Point, in the Bronx, might seem to have nothing in common beyond the “muni” label. Not so. 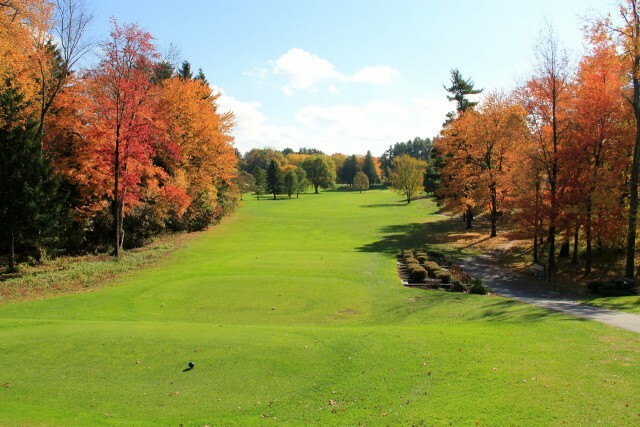 Schenectady Municipal pushes all the right buttons in the context of the golf industry’s nearly obsessive-compulsive need to make the game more accessible and thereby increase participation. It’s 6,570 yards, par 72, from the longest of three sets of tees and slopes out at 123, stroke rating 71.1. The layout is in remarkable condition, particularly given the amount of traffic it handles, not to mention an absolutely brutal winter here in the Northeast. There’s good variety among the individual holes, most of which are circumscribed by imposing mature hardwoods. Changes in elevation are dramatic enough to enhance visual appeal, but the course is still an easily manageable walk. Locals get a break on green fees, which even on weekends don’t exceed 50 bucks; our weekday rate was $29. Designed by Jim Thompson and opened in 1935, Schenectady Municipal is among the first courses to be built after the Great Depression. As such – in the days prior to the sophisticated earth-moving equipment of today – the construction was achieved exclusively using manual labor, part of the “old style” appeal of its natural contours. 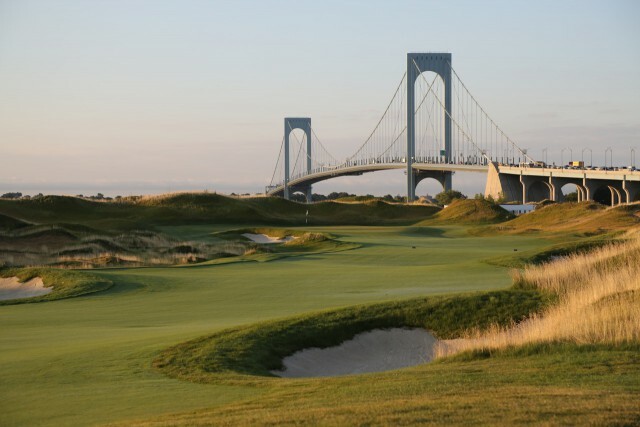 The story of Trump Golf Links at Ferry Point, part of a city park located between two colossal suspension bridges – the Throgs Neck and the Whitestone, also with views of the Manhattan skyline – begins in the late 1970s, much of the detail hazy at this point. A Jack Nicklaus design, it’s 7,407 yards from the back tees, par 72, though there are several less-demanding tee boxes. It, too, is in great shape, though in this case the surprising thing is not copious usage, but rather that it’s only been open since April 1st. With capacious landing areas and gorgeous greens that are deceptively subtle rather than severely contoured, it’s playable, though strong winds are endemic to the site and the fescue grasses lining the fairways will, when grown in, provide additional challenge. Much of what Pioppi and other critics contend seems impossible to dismiss. Said to have cost a whopping $269 million to build, Ferry Point will also be drastically out of line with what other munis in the city cost to play. At the upper end of the scale, non-residents will pay $215 on weekends, cart ($35 per player) not included; at the low end, NYC-resident juniors will have to fork over $54 on weekdays, with no discount on weekends. For military personnel (on active duty) it’s $87 on weekdays only. Caddies will be available for $115 per bag, tip included. Non-round practice on the range goes for $50. Ferry Point offers some unusual perspectives. Photo courtesy The Trump Organization. Whatever one thinks of the project, it ought to be interesting to see how it does in the long run. Certainly the city’s populace of nine million includes a contingent of golfers who won’t think twice about ponying up this kind of freight. The catch is that a substantial portion of the same crowd already enjoys memberships at the metropolitan area’s many private clubs. Would you make Ferry Point your everyday track if you’re already a member at a Winged Foot, a Baltusrol, a Bayonne? Golf media are egregiously complicit in the disproportionate focus on upscale courses and resorts – yes, in large part because we’re sponsored to visit them – often to the detriment of more accessible facilities that constitute a truer picture of American golf. The idea of putting words into Donald Trump’s mouth is superfluous on numerous levels, the lone exception probably being as the set-up for a Saturday Night Live skit. But if questioned about Ferry Point’s possible incapacity to boost participation in golf generally, my hunch is he’d likely say, So what? That’s not the point of the project. In that context, Ferry Point is a significant addition to the assortment of public golf. As a “gift to the people of the city of New York,” not so much, especially, as Pioppi points out, because there are several quality existing layouts in town needing much-less-costly refurbishing. Schenectady Municipal and Ferry Point both represent category-bending versions of the muni concept – in general a good thing. Considered together, though, they represent a game, as psychotherapists would say, in transition. It can drive a guy nuts.